Products – Page 20 – Lovaticgadget.com: The Best of The Best! 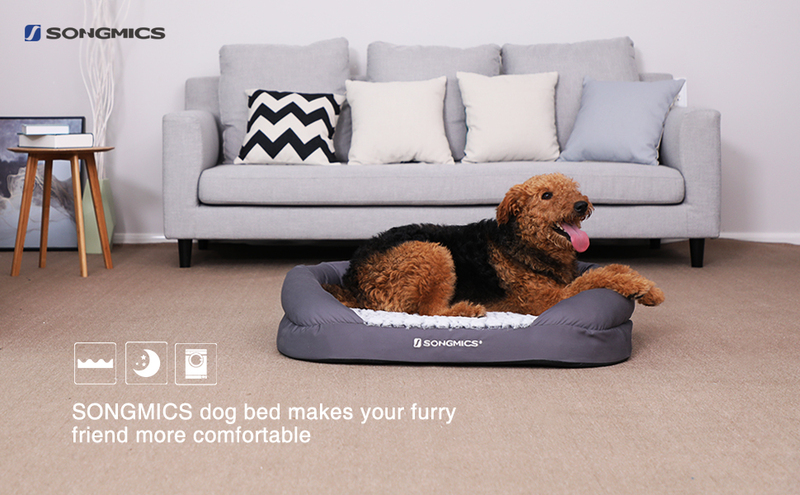 Crafted from soft plush, overstuffed PP cotton and “egg crate” foam, the SONGMICS pet bed support your dog’s joints for more comfortable lounging, napping, and snoozing. It is the perfect, cozy place for your pooch to settle down and rest after a long walk! The raised sides surround him with a warm embrace, providing a sense of security. 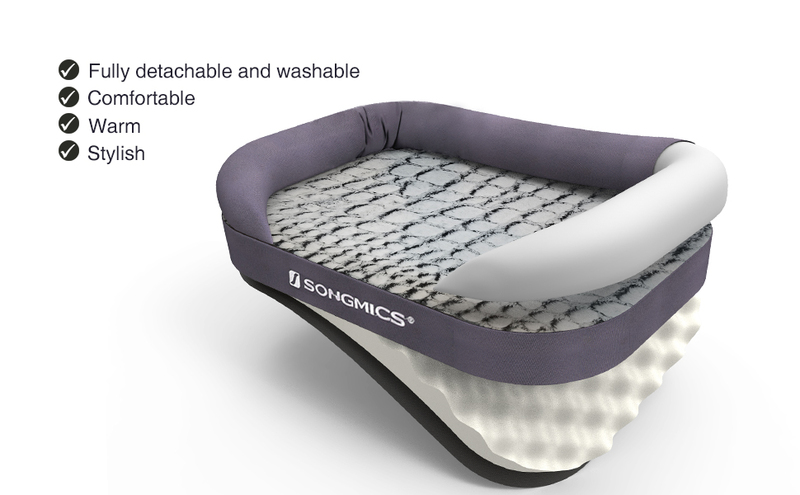 The best part is the ultra-soft sleep surface and plush cushioning – don’ be surprised if naptime runs a little longer than usual! Your canine friend will not need to sleep on the cold floor again. He will enjoy a healthy and refreshing sleep! Stylish and modern for today’s home, and is also easy to clean. 1. The fabric is not water proof, if water or stains are present, please clean and dry it in a timely manner. – The pet bed comes vacuum package and has a short rebound period, please place it in natural state for 2-3 days, then measure it. – Do not press it when measuring, it is normal that there is 3-4 cm margin or error between the measured value and the page shown.